My very last "Snakes on a Plane" post? "DVD Clearance! Four for $10"
And what did I see in the bin? Also available: "Scary Movie 4." 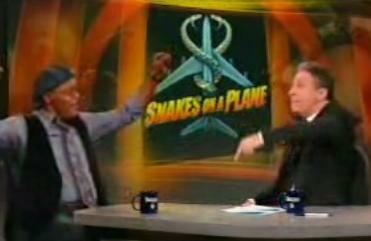 What does "Snakes on a Plane" mean?